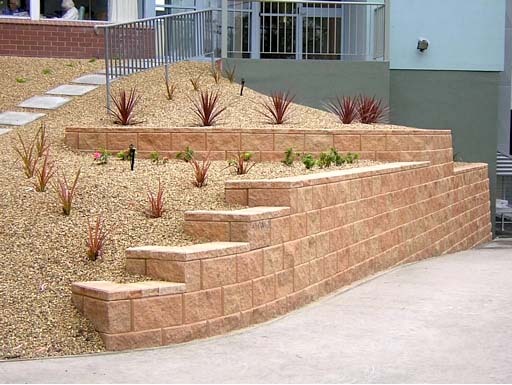 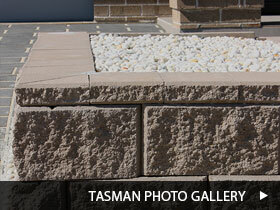 The Tasman™ retaining wall system is the premium retaining wall product for near vertical and very high retaining walls. 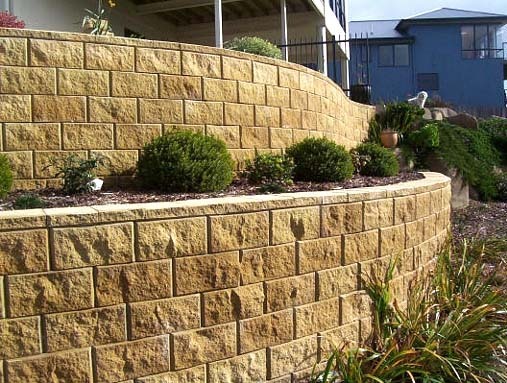 Its natural rock face finish and colours, and purpose made corner and capping units ensure a beautifully finished landscape solution. 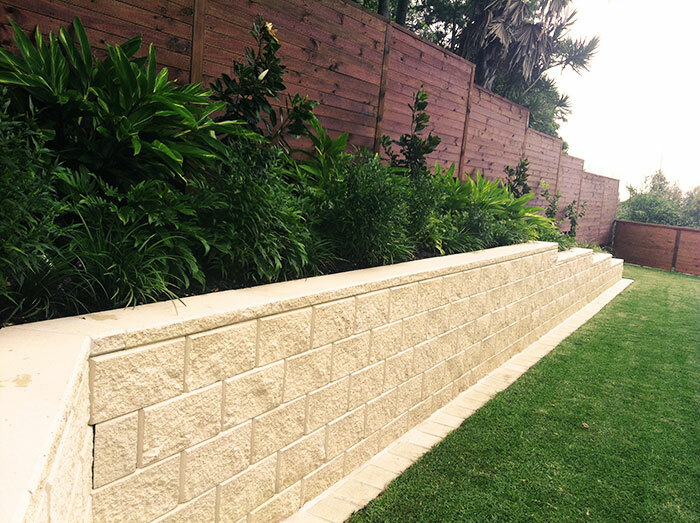 The Tasman™ retaining wall system incorporates purpose made corner and capping units to achieve a classical sandstone retaining wall appearance. 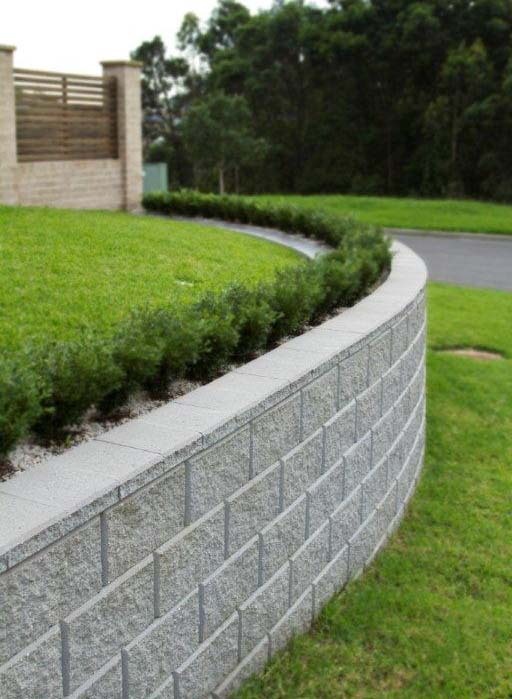 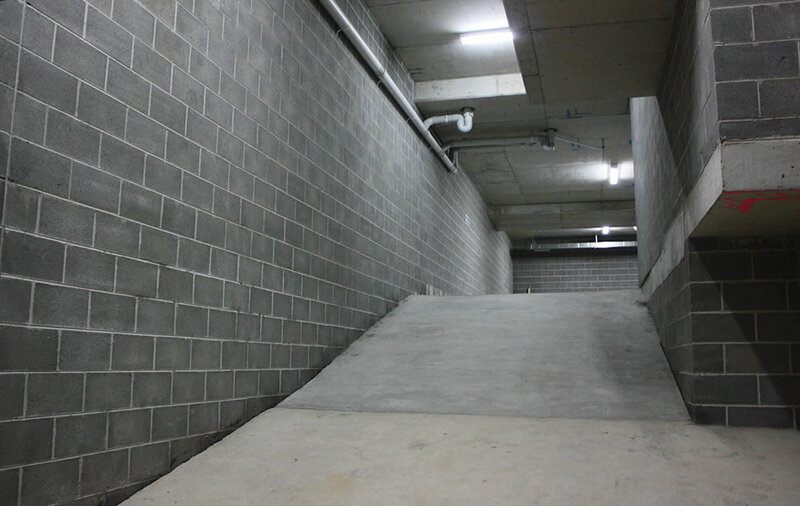 The unique design of the Tasman allows increased flexibility over other retaining wall systems in the way it allows near vertical walls to curve or have 90* corners. 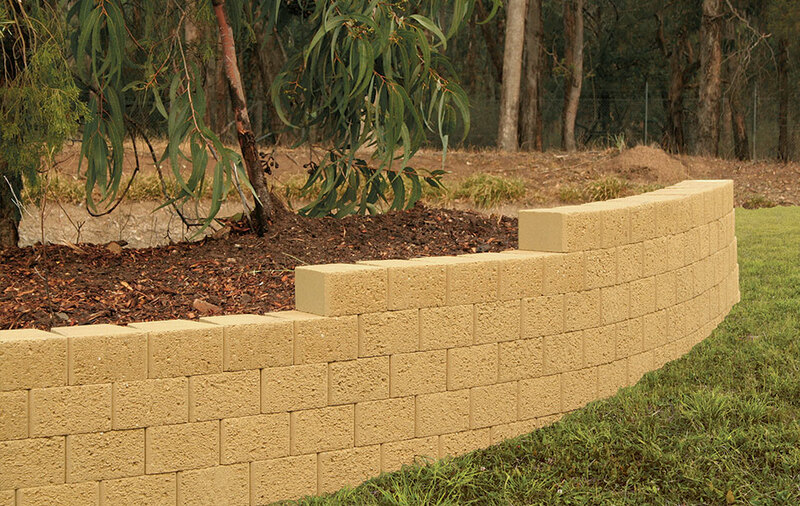 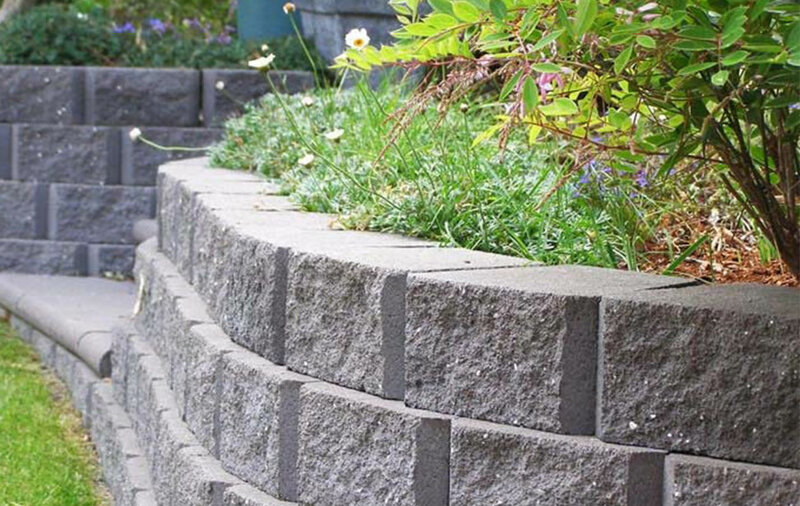 The blocks are easily dry-stacked and their patented design ensures that the block below locks into the block above with a minimal 10mm setback to form an attractive structural retaining wall. 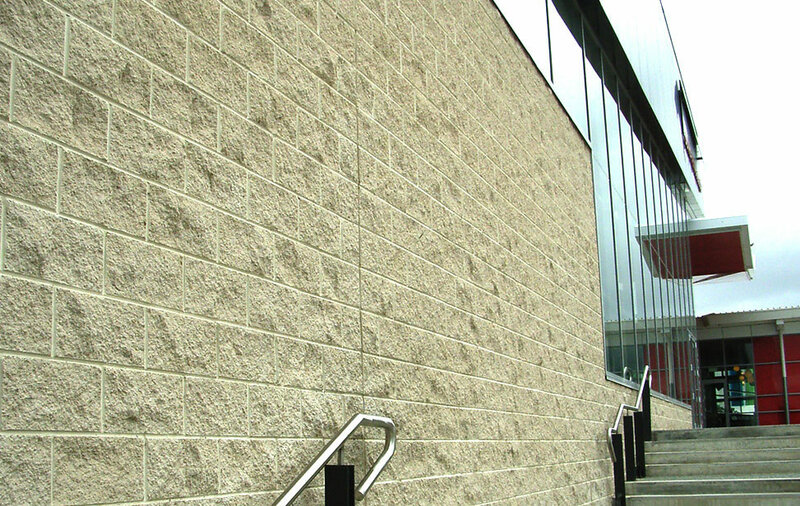 The capping unit is adhered to the top course of blocks to finish off the wall. 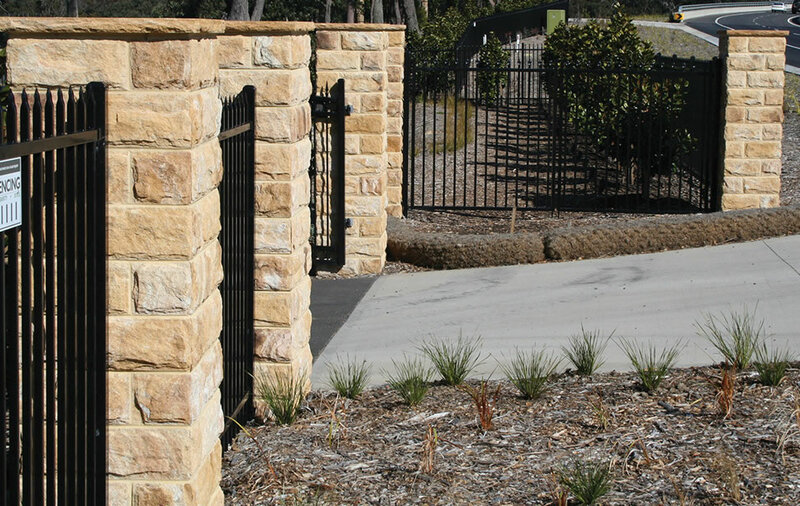 For walls over 660mm high, FORTRAC® geogrid is locked in every 2nd course of blocks to create a reinforced soil retaining wall structure. 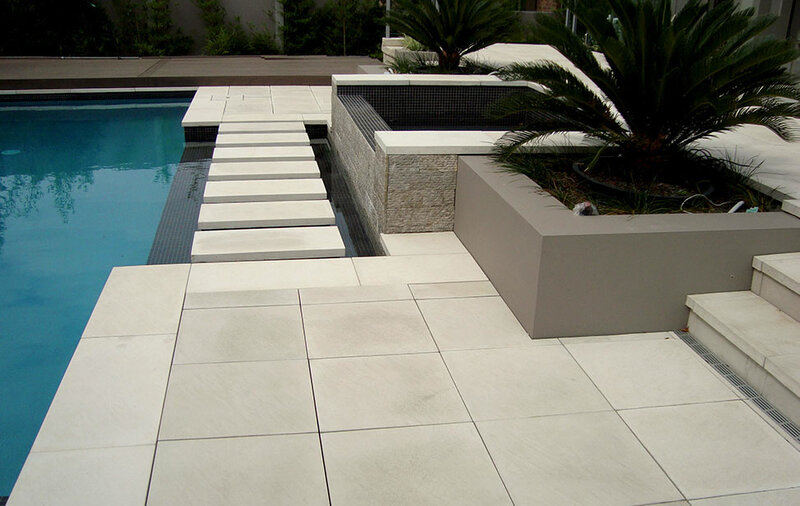 (See Design Tables). 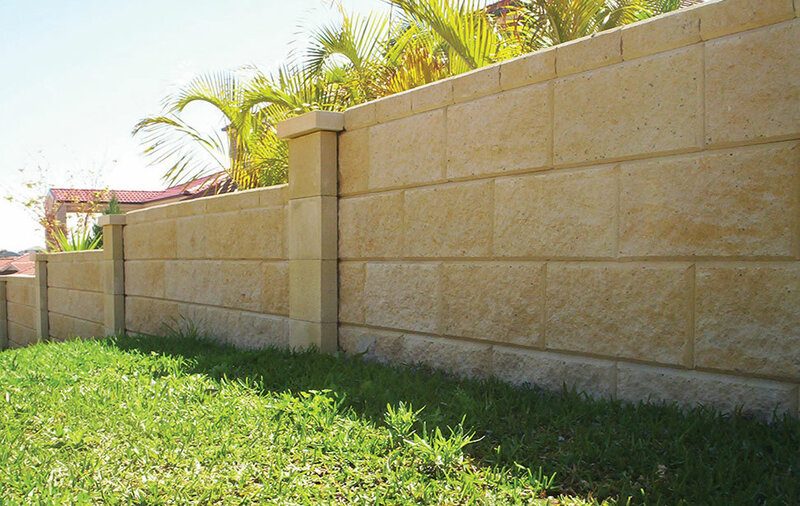 Seek specific engineering advice for walls over 660mm high, walls carrying car traffic or to comply with most council requirements. 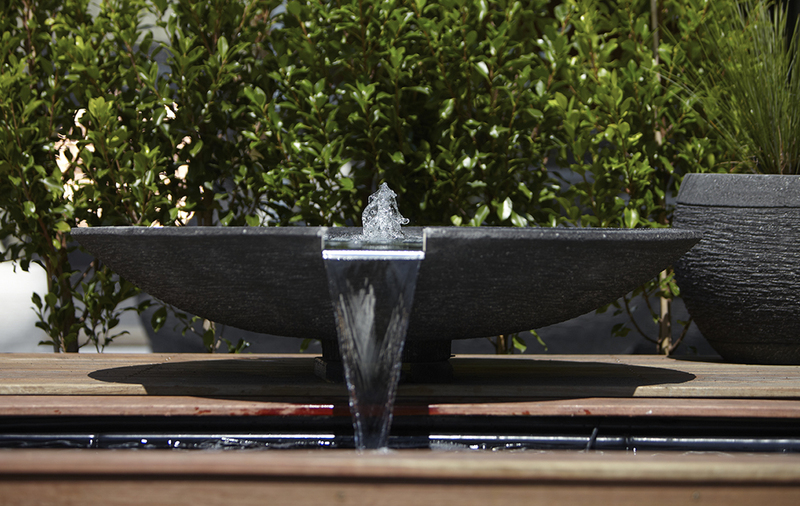 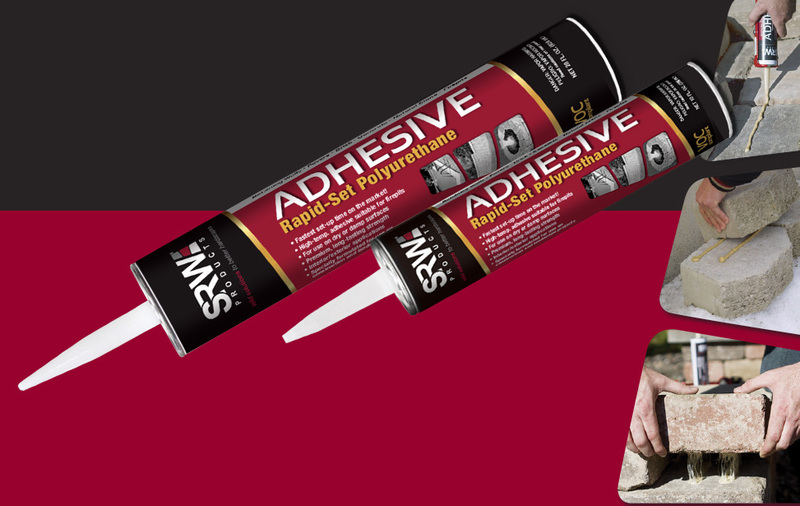 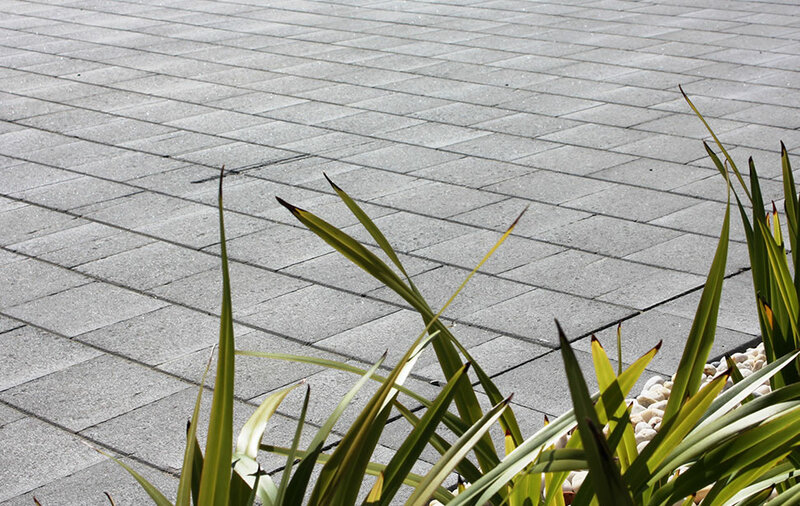 The Tasman™ system is manufactured with a water repellent admixture to add to its quality. 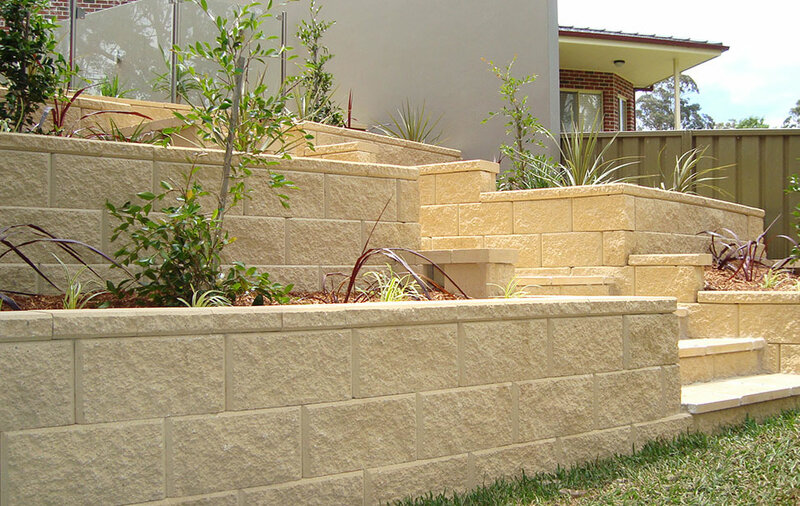 Engineers, please contact us here for further design details.